On this week's weekly food diary I'm eating lots of pizza and lots of salads. So, that kind of balances out, right? 11am: Granny smith apple and iced tea. 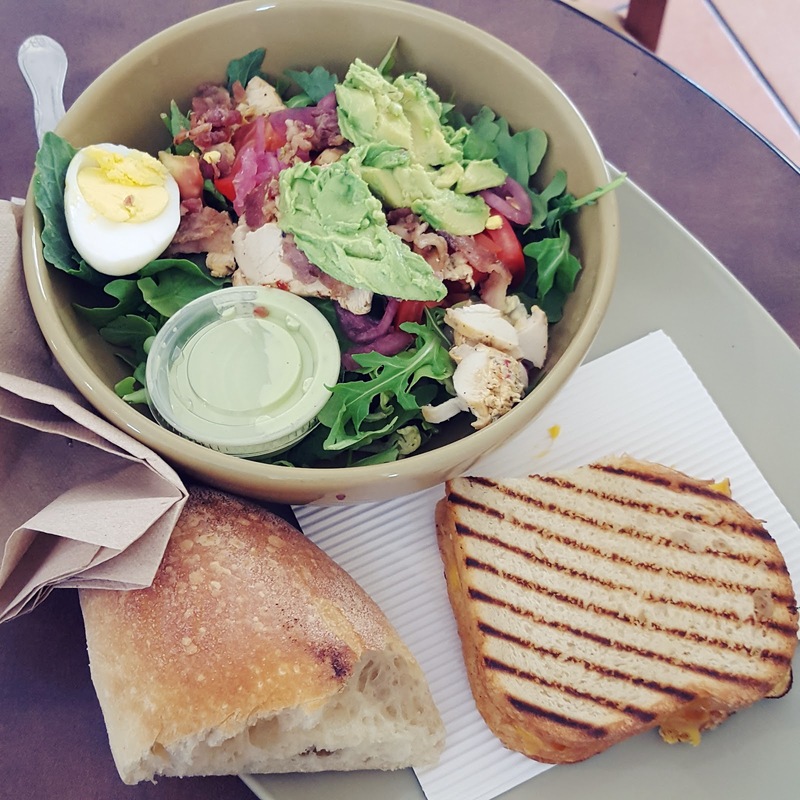 1pm: Half grilled cheese sandwich, half goddess salad at Panera Bread. The last time I ate here was years ago and had a really bad experience with the salad. Looks like Panera has redeemed itself as the grilled cheese was tasty and not oily at all. 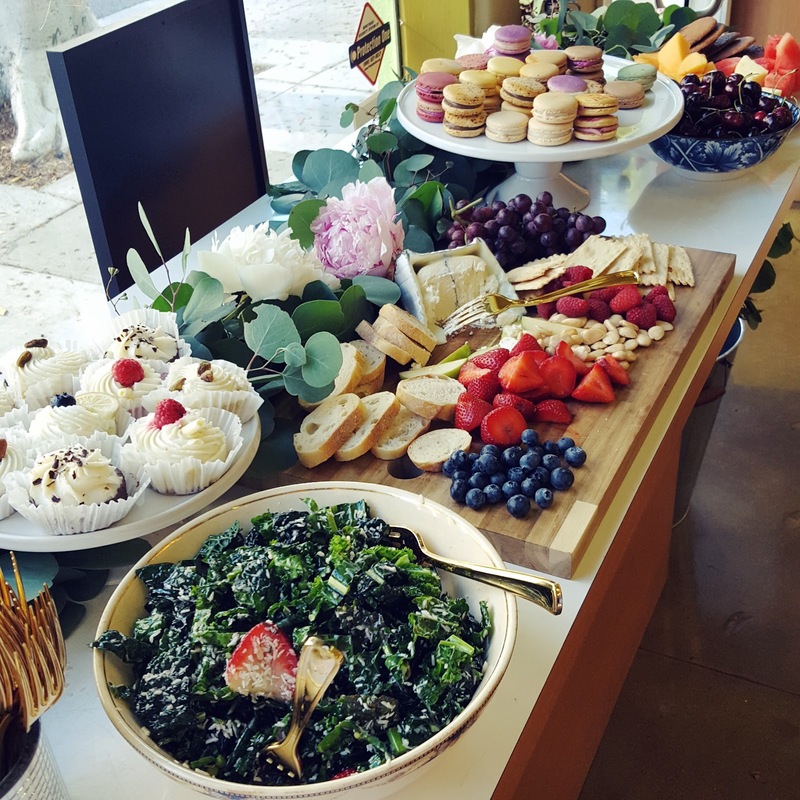 4pm: At a Bellacures mani/pedi session, I can't resist the spread and snack on the kale salad and marcona almonds. 8:30pm: A well-balanced dinner from Taste of Tehran, our go to Persian takeout restaurant. I always get the beef koobideh, rice, and salad and tonight is no exception. 4pm: Granny smith apple and half of a thinkthin protein bar. 7pm: I'm starving and heat up some leftover rice while waiting for M to come home. 9pm: We originally wanted to go to Little Izakaya by Katsuya but there's a long wait (it's the only restaurant in the valley with a wait!) So we go across the street and have dinner at Public School 818. 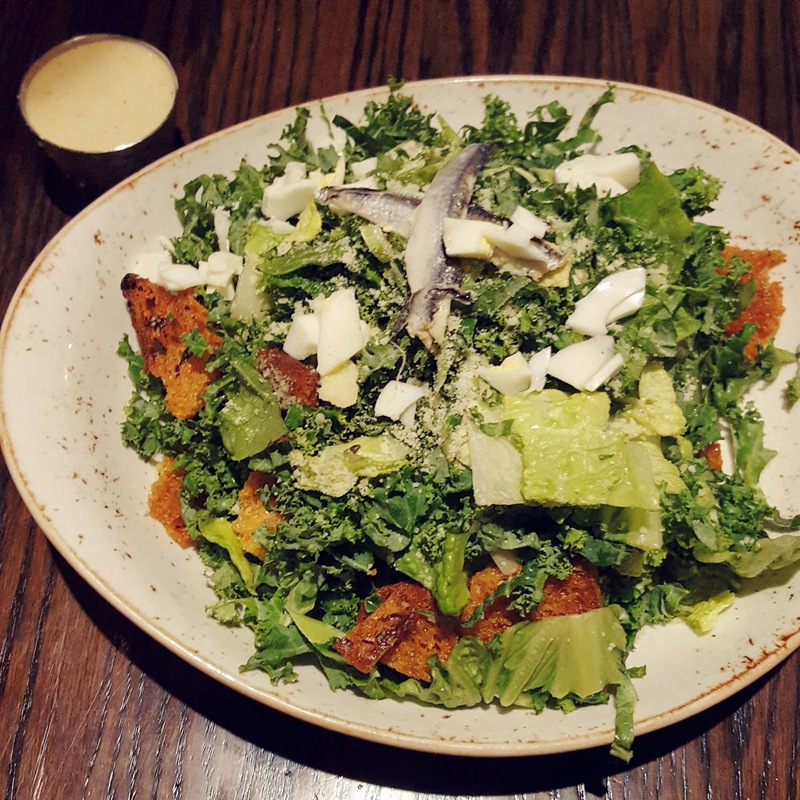 I snack on bacon cheddar tots and finish a big bowl of kale caesar salad. 11:30am: Hunger strikes early. I have a yogurt parfait. 3pm: Hunger strikes again. I eat a granny smith apple and half of a thinkthin protein bar. 7pm: I have dinner with an old friend (we've known each other since third grade!) at Fresh Corn Grill in Westwood. I get the skirt steak with grilled corn and glazed yams. 9pm: My low carb dinner isn't as fulfilling as I'd hoped so I supplement with a PB&J sandwich. 12:30pm: Lunch at Google with M and his sister. I customize a delicious salad from the salad bar and can't resist the pizza so I have two slices. 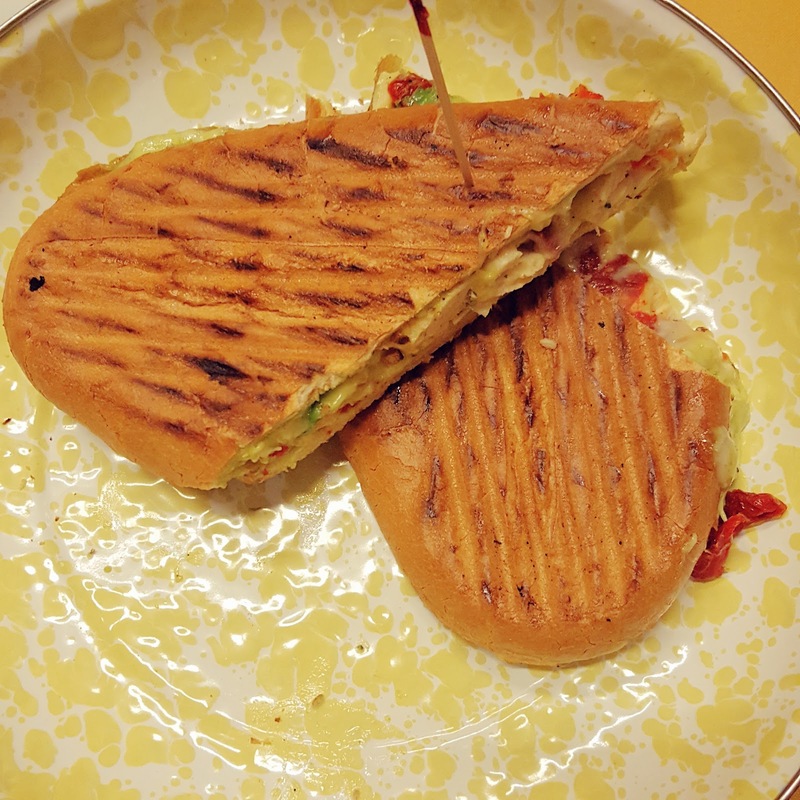 8pm: The delicious chicken, avocado, and cheese panini from Il Tramezzino in Beverly Center, an unassuming cafe with some of the best sandwiches in LA. 11am: A small yogurt parfait before we head out on our annual trip to Disneyland!!!! 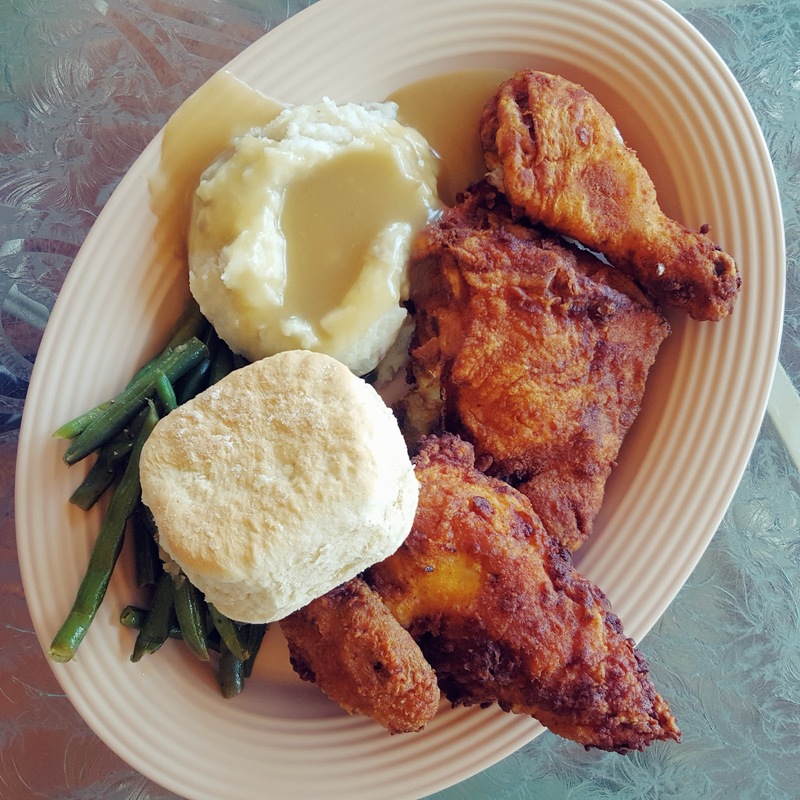 2pm: The fried chicken meal at The Plaza Inn. For once, I actually prefer the breast meat as it's really tender and the flavor is just perfect. 4pm: A frozen strawberry lemonade while going through a few rides at California Adventure. 7pm: The Montagu (roast beef, turkey, tomato, lettuce, swiss, and horseradish sauce) sandwich from Earl of Sandwich at Downtown Disney while watching Golden State clinch Game 4. 9pm: I decide to splurge because we're at Disneyland and it's Friday night so M and I split a cookie sundae while watching the Paint the Nite parade. 2pm: A yogurt parfait in the car on our way to the airport. We're going to NYC for a few days for work, play, and belly aching eating. 4pm: We're not landing until midnight so I fuel up with a kale and chicken salad M grabbed for me from Trader Joe's. 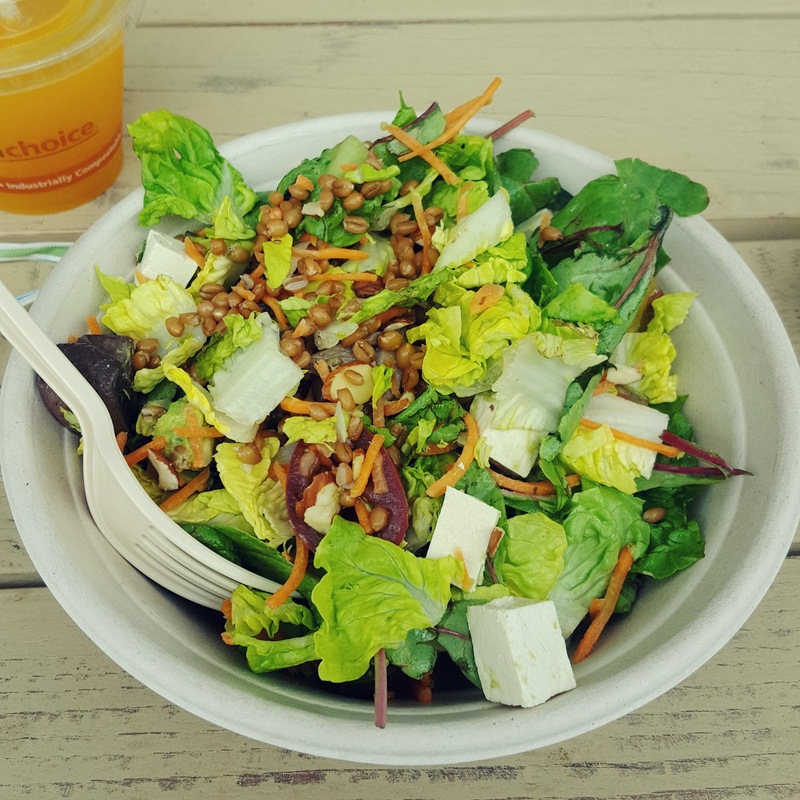 I love the crunchy sunflower seeds and the mild dressing. 5pm: A ripe but not so sweet peach. 6pm: I wake up from my nap and have a peanut butter and nuts granola bar. 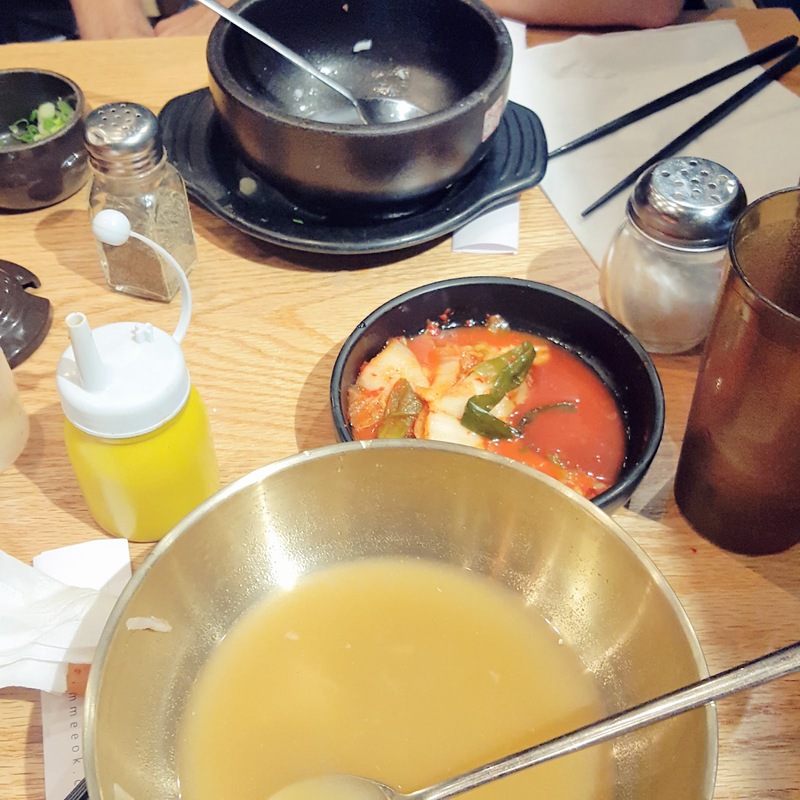 1am (EST): Seolleongtang (milky bone broth noodle soup) at Gammeeok in New York's K-town though M calls it a K-block. The broth contains a lot of calcium and collagen and tastes so comforting after a long flight. The restaurant overlooks the street so we eat our food while being entertained by drunk people try to hook up with the right ubers and the right people. 12pm: Fried habenero chicken, cheesy grits, and pork buns at Momofuku Ma Peche. The grits are so good and comes in a huge bowl. 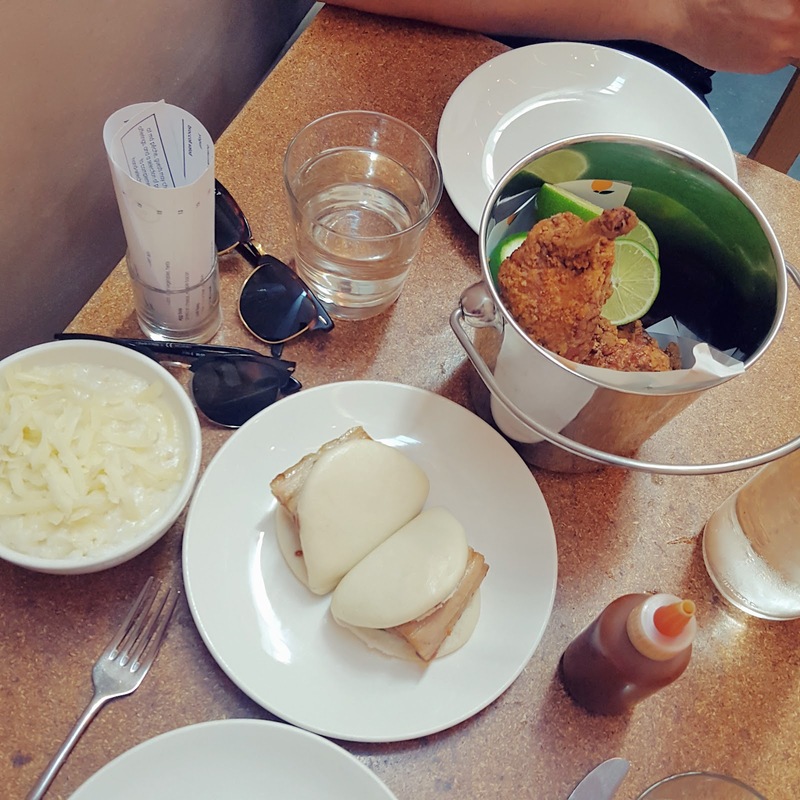 The chicken pairs well with lime juice and the pork buns are legendary. 1pm: Confetti birthday truffle cake from Momofuku Milk Bar. 8pm: Dinner at M's favorite Italian restaurant Emporio in Nolita. 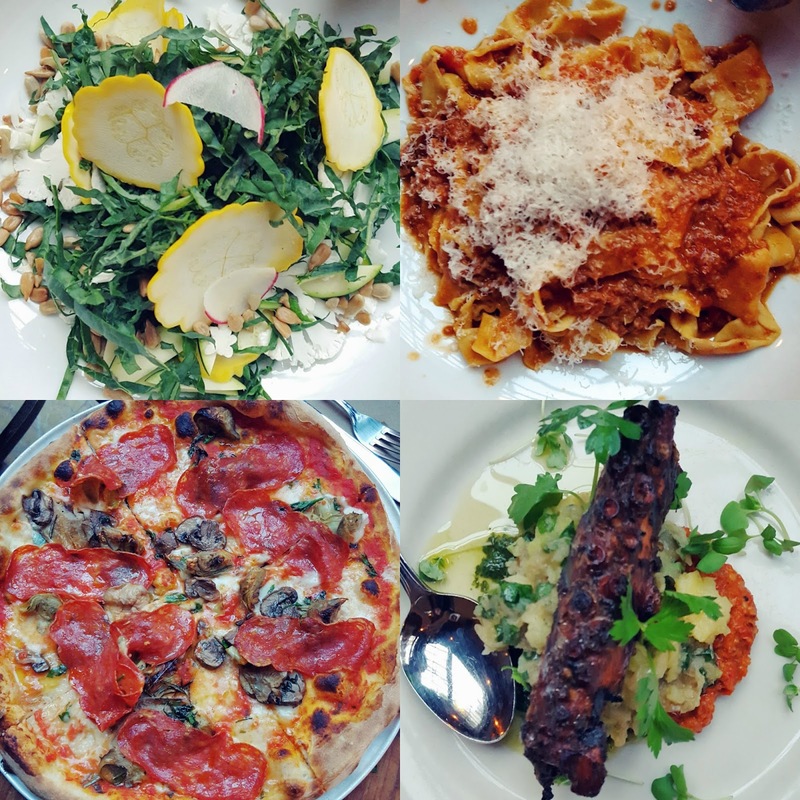 We share the Tuscan kale salad, the amazing charred octopus, the tagiatelle bolognese, and a sopressata, artichoke, and mushroom pizza. Everything's delicious and I'm stuffed halfway into the second slice of my pizza. 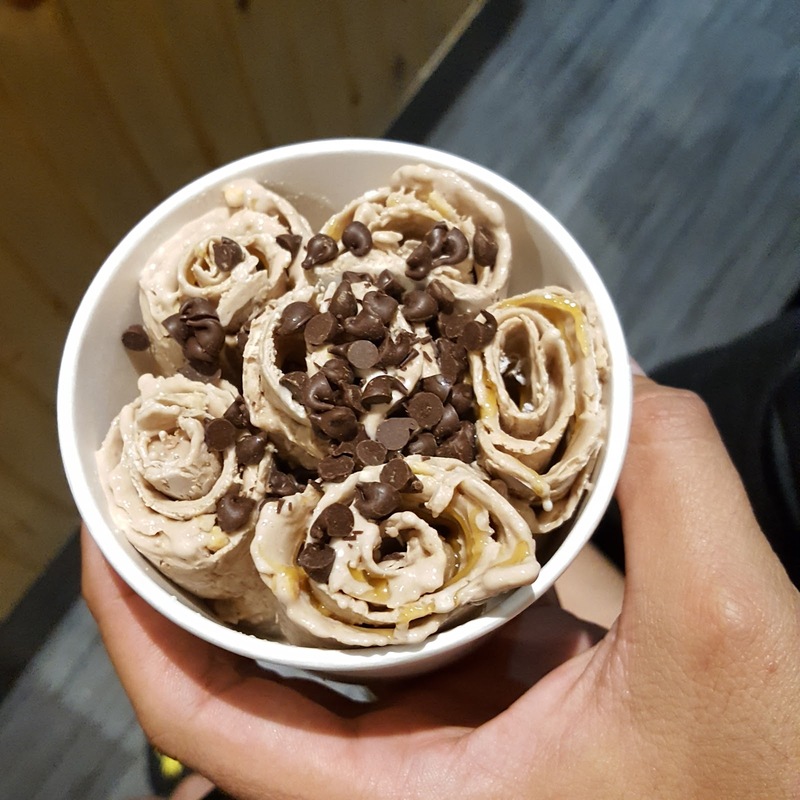 10pm: I have a few bites of M's ice cream roll from Frozen Sweet in Little Italy. It's a Thai ice cream shop where everything's made to order. 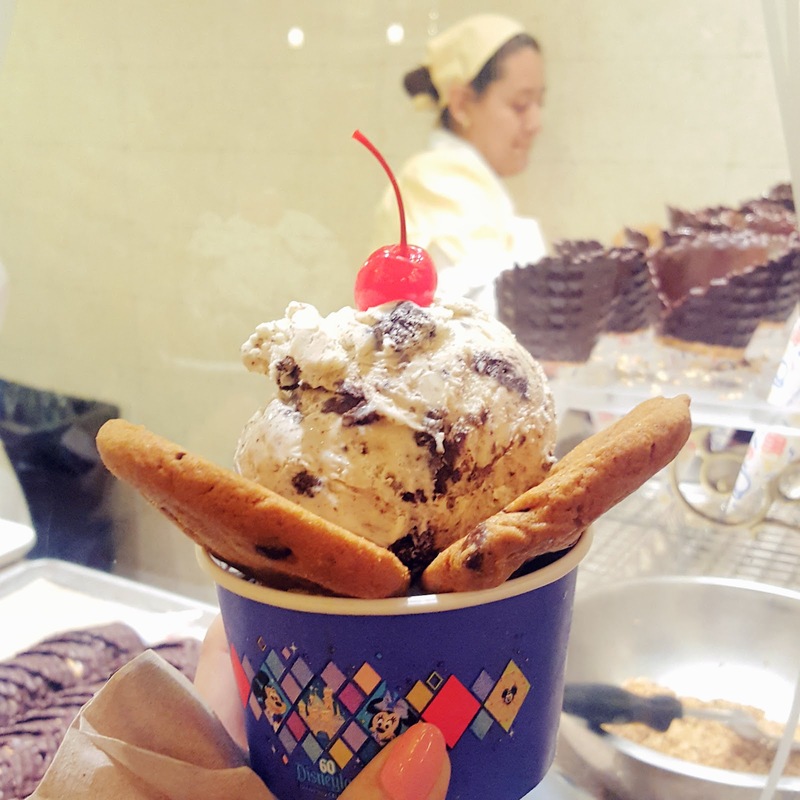 They pour the flavored cream onto a refrigerated platform and mix it with toppings.